Shelley Davis is a US based Behavioural Consultant who has consulted to BC families for the last 15 years. She is also a practicing attorney. She reviews two US laws – the IDEA (Individuals with Disabilities Education Act) and the ADA (Americans with Disabilities Act) and how determined parent advocacy attained both. She describes the stark contrast in approach and delivery of autism treatment between California and BC. In her experience the only reason for improvements in BC was the result of the work and advocacy done by the original FEAT of BC (Families for Early Autism Treatment) parents. However, in her view, we’re still at the very beginning of the process. We need to continue to work together and have high expectations because it so too easy for children with autism to be pushed aside. Dr. Catherine Lord has attempted to sell her DSM5 New Autism Spectrum Disorder in a comment at the Huffington Post by telling the ignorant, unwashed public that we have nothing to fear from the DSM5 Autism changes. Dr. Lord is trying to paint those who disagree with the DSM5 Autism Do-Over as irrational thereby deflecting legitimate criticism which she and her DSM5 colleagues have not been able to credibly answer. My criticism of the new DSM5 is two fold. 1. It expressly targets for exclusion the intellectually disabled who are also autistic and 2. It oversimplifies a complex disorder. Parents of children with severe autism and intellectual disabilities can not simply abandon our children. Unlike parents, autism researchers and DSM5 autism committee members do not have to find ways to work with the most challenged autism cases. They simply exclude them by redefining them out of the spectrum. They do so by ignoring the evidence of those diagnosed with autism and ID by existing criteria. 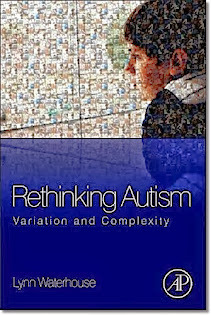 Lynn Waterhouse in her newly released book "Rethinking Autism" Variation and Complexity, pages 382-385, references this express exclusion and argues that the exclusion of those with intellectual disability is NOT evidence based. She points out that the exclusion is based on a faulty, non evidence based assumption that a person's intellectual or cognitive disability causes the social communication deficits. Waterhouse argues that the exclusion of the intellectually disabled IGNORES evidence of published, credible, studies indicating that 55-70% of those diagnosed with autism by prior criteria experienced intellectual disability based developmental delays. The exclusion also ignores genetic, chromosomal and neuroscience studies showing substantial overlap between cognitive disability and social communication deficits. Dr. Lord confessed in the NYT Amy Harmon interview that the DSM5 team targeted intellectually disabled for exclusion from the new Autism Spectrum Disorder. That targeted exclusion of the intellectually disabled is not evidence based. 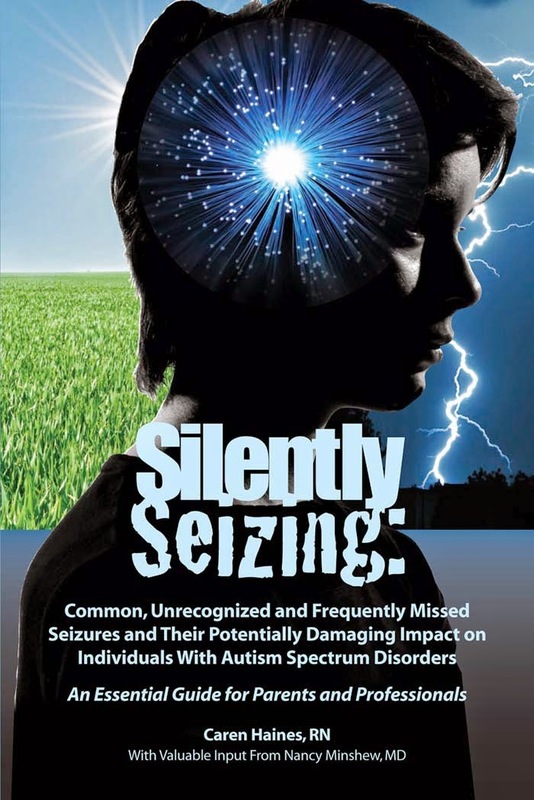 It is not helpful to understanding autism disorders generally and will cause harm to the most severely affected by autism, the ones who are, apparently, too much of a challenge for Lord and the DSM5 Autism Do-Over team. The exclusion of the intellectually disabled from the new autism disorder, while not evidence based, serves the interests of researchers, clinicians and services providers who lack the good conscience and the intestinal fortitude to work with the most severely affected by autism disorders: those with general developmental delays, those with intellectual disability. 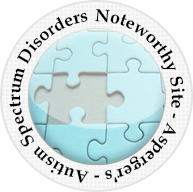 "DSM5, simplifying autism complexity by ignoring the evidence; helping those with autism disorders, except those who are too challenging and inconvenient." Is All Genetic Autism Research Fundamentally Flawed? 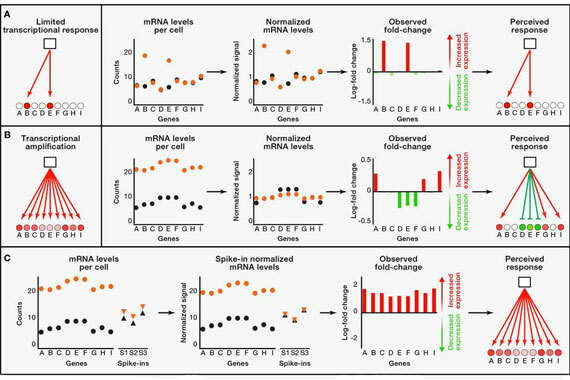 The assumption in traditional genetic expression analysis that mRNA content is similar between cells (represented by orange and black dots) does not affect the final results when the cells in fact do have equivalent mRNA content, as in Figure A. In Figure B, the cell represented by the orange dots has a significantly higher mRNA content, but when the data is normalized with the assumption that their contents are equal, the perceived response is skewed and inaccurately indicates that some of the genes are repressed (green bars). Using a standardized control, as in Figure C, eliminates the assumptions about mRNA content and presents accurate results. Autism research has been dominated for many years by the "it's gotta be genetic" mindset that has seen autism research dollars flow overwhelming toward genetic research at the expense of substantial research of environmental factors. This dominance has been maintained despite the failure of the autism research community to find specific genes which could be said to cause autism disorders. Much of the recent discussion has focused on gene expression. Now a team of researchers led by Richard Young of the Whitehead Institute has identified a major flaw in traditional genetic expression analysis. Will this flawed analysis undermine existing autism gene expression research? In addition to delineating this problem, the Whitehead scientists also describe a remedy. By using synthetically produced mRNAs, called RNA spike-ins, as standardized controls, researchers can compare experimental data and eliminate assumptions about total cell RNA amounts. The remedy applies to all three gene expression analysis platforms they studied. Although the researchers believe the use of RNA spike-ins should become the new standard for global gene expression analyses, questions are likely to persist about the interpretations of much prior research. Hopefully credible professionals involved in autism research will address this development promptly, indicating whether they agree with the Young Lab study, to what extent genetic autism research is affected and whether it will be necessary to reinvestigate conclusions reached by prior genetic autism research. My favorite blog dedicated to autism research is Questioning Answers, by researcher Paul Whiteley, and I recommend it for anyone interested in the subject. Whiteley presents autism research information in a manner that can be digested by this humble autism dad and is not condescending. The content is broad, balanced and clear in its coverage of autism research subjects. Whiteley displays no obvious bias, (not obvious to me anyway), in his comments which are always informative. The QA blog regularly focuses on subjects that will be of interest to parents such as yesterday's Antipsychotics, autism and core symptoms. "I have been involved in autism research for more years than I care to remember. The Questioning Answers blog is a place to describe and discuss various research into autism spectrum and related conditions. My Gutness Gracious Me blog is for discussions on various gastrointestinal research. I make no recommendations, I am not giving any medical advice, I am not formulating any specific opinions and do not want to get into any ethical, political or religious debates. I am not trying to change anyone's opinions, views, beliefs or anything else. 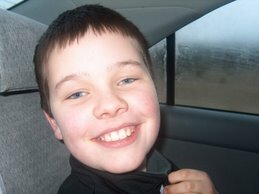 These are purely blogs about science and research in autism and a few other interesting things. Any posts I make are my own opinions and not reflective of any organisation I am affiliated to. Keep in mind that science deals with probabilities not absolutes." I follow Questioning Answers, read it regularly, and follow Whiteley's Twitter updates @QuestAnswers as well. In my opinion Whiteley's blog profile self description is accurate and honest. On Blogger and on Twitter Questioning Answers is a valuable resource and I highly recommend it for anyone interested in autism disorder research. Autism Stem Cell Treatment Research: Who is the Real Quack? Gorski (ORAC) or the FDA? In any commentary in which I dare question the self appointed protector of all things scientific, the ORACle known as Dr. David H. Gorski, I have to begin with the statement that I recognize the public health importance of vaccines and that both of my sons, and I for that matter, have received all vaccines recommended by our local public health authorities in New Brunswick. This statement is necessary because Dr. Gorski almost invariably alleges that anyone who questions the wisdom he brings down from the mountain top for us, the ignorant unwashed, is really just a closet anti-vaxxer. I don't think vaccines are perfect though and it is my understanding that neurological damage has been caused by some vaccines in some individuals. 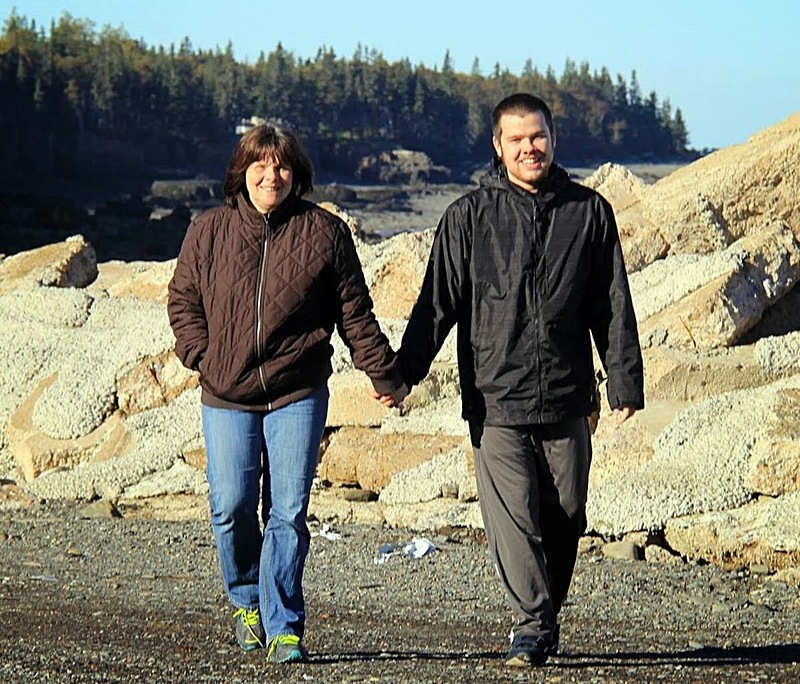 I am aware also that Dr. Bernadine Healey had recommended further study of possible vaccine autism connections before her death ... and that some had vilified her for doing so. "Did you notice that the self-appointed high priest of science wrote (at least) two pieces on stem cells and autism? In the first he calls it quackery because it isn't evidence based and in the second says that studying the issue at all is unethical. He really seems to want to have it both ways. No treatments without proper research, which is reasonable, but no research because there is no evidence that it would work...."
I think MJ has made an excellent point. How are we supposed to determine what is evidence based, effective treatment for autism or any other disorder, if no research is done to determine effectiveness? "Similarly, any private entity (such as a pharmaceutical company) seeking FDA approval for its drug or device have to register with the FDA and abide by the Common Rule, whose most important set of rules mandate IRB approval and monitoring of the research. Some states also mandate that all human subjects research carried out within their borders, regardless of funding source, must abide by the Common Rule." Since there is an IRB in place for this preliminary study, and since the FDA has given its approval for it to proceed, I assume Dr. Gorski (ORAC) will, if he has not already done so, acknowledge that this study is being conducted in accordance with recognized public health authority backing. As a mere layperson I assume that the US FDA has conducted the usual inquiries and that they are best placed, even better placed than surgical oncologist and autism expert Dr. Gorski, to determine the ethical appropriateness of the study. I assume that Dr. Gorski who feels FDA approval is a comforting requirement for approval of new pharmaceutical company drugs or devices is also comforted by the FDA approval of the stem cell preliminary study. Surely he does not now consider the FDA to be governed by the quacks he so detests? 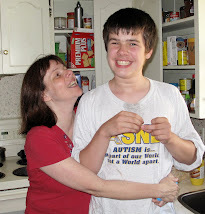 Regardless, if Gorski, the FDA or any other health professional or authority is simply going to ridicule and dismiss attempts to conduct any research into possible autism treatments and cures they will simply lose credibility with many autism parents when they try to convince them that they should stick with evidence based treatments for their autistic children. That is not quackery. That is reality. I was surprised to see that a preliminary study of stem cell treatment of autism disorders is proceeding with FDA approval in the United States. Stem Cells as possible treatments for autism have been mentioned for some time but have been subjected to disparaging commentary for several reasons including the usual anti cure attacks from Neurodiversity self interest groups. To see a preliminary study actually examining a possible source of treatment and cure for autism disorders is startling. To see such a preliminary study receive FDA approval and thereby receive some protection from the anti cure autism extremists and self anointed protectors of the one true science at Respectful Insolence and similar sites is almost shocking. "Thirty children with the disorder, aged 2 to 7, will receive injections of their own stem cells from umbilical cord blood banked by their parents after their births. All of the cord blood comes from the Cord Blood Registry, the world's largest stem cell bank. Scientists at Sutter Neuroscience Institute, in Sacramento, Calif., said the placebo-controlled study will evaluate whether the stem cell therapy helps improve language and behavior in the youngsters." The article is careful not to over hype the study emphasizing that although it is a well designed study it is still a preliminary study which will in effect help decide whether further such studies concerning stem cell treatment of autism are warranted and that it is very early in this process. The article also points out that there are mixed views with some researchers being skeptical about the value of stem cells in treating autism. The cautions expressed are helpful to my mind. Those who oppose research that might lead to knowledge of autism causation, or to treatments and cures will seize on any excuse to attack and derail such research. The disciplined, professional approach will help ward off such attacks. In the end we should ALL want proper procedures, proper protocols to be followed to ensure that ANY results, positive, negative or neutral to anyone's perspective can be relied upon. Personally, I am very happy that there is actual research being done, in proper fashion, by credible professionals, under appropriate authorization aimed at finding treatments and cures for autism disorders. After years of pointless, meandering, autism research it is encouraging to see researchers who still live in the real world, who do not view parents as the enemy, and who realize that despite the protests of a few very high functioning persons autism disorders are very debilitating, limiting and even dangerous for many who suffer from them. Autism disorders require treatment as advocated by parents seeking treatment and cure for their children and for those who suffer from them and want treatment and cure for themselves. Let the research be done and be done properly. Nothing wrong with bribery if it helps us get Conor to sit still for a shave and haircut! That's what happened this long weekend when I bribed Conor to accept a shave and haircut by indicating first shave and haircut then back to school, the school he loves so much. A school where he receives what the extreme, everybody in the mainstream classroom, ill informed inclusion ideologues deride as a segregated school. Conor accepted the shave and haircut. I handled the shave. Mom handled the haircut. Conor loves his so called "segregated" school experience. 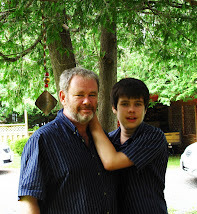 Every day, as I have pictured on this blog many times, Conor packs his back pack and lunch for school and parks them in front of the door to get ready for school the next day. At school Conor starts his day in a Resource Centre with other students with challenges. It is a wonderful environment for him to start the day, for breaks and for certain types of life skills activities. There are adults with experience and skills for handling the unexpected challenges supervising and managing the Resource Centre. It is a warm and welcoming environment and ensures security for students like our Conor. Conor receives his primary ABA based instruction in a cubicle adjacent to other students also receiving such instruction. 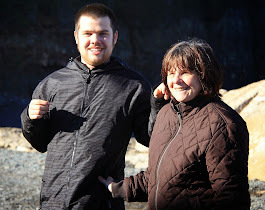 His aide, who provides the instruction, was trained at the excellent UNB-CEL Autism Intervention Training program and his ABA based instruction is a critically important part of Conor's school day. Conor does NOT like shaves and haircuts. Sensory issues are long recognized by health authorities like the American Psychiatric Association as a condition that accompanies autism. Challenges with sensory issues will now be expressly included as a diagnostic criterion, although not a mandatory criterion, in the DSM5's new Autism Spectrum Disorder. Challenges with sensory issues, including flashing lights and loud sounds, are recognized by major theatre chains that put on special autism friendly showings of some movies to accommodate those sensory challenges. 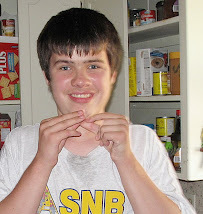 Challenges with sensory issues are why we removed Conor from the mainstream classroom where he came home every day with self inflicted bite marks on his hands and wrists. Challenges with sensory issues are why Conor receives his instruction in a quiet area outside the mainstream classroom. Conor loves his so called "segregated" schooling. 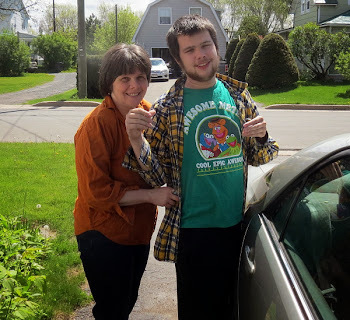 Conor's experience, the DSM autism criteria, the successful accommodation of his specific autism challenges, the accommodation of other autistic children by theatre chains will have no impact on the rigid, locked mindset of New Brunswick's extreme inclusion ideologues but it is reality. 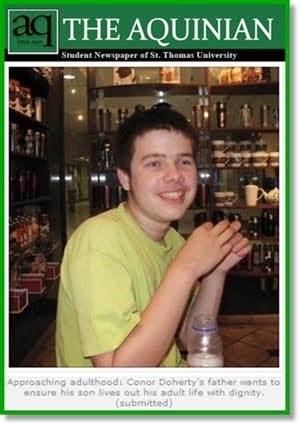 If only the extreme inclusion ideologues were still capable of looking at the evidence and understanding that alternative environments like Conor's Leo Hayes High School resource centre, and his individualized ABA instruction area are in fact an accommodation of his autism spectrum disorder challenges. I have referred to authorities like the American Psychiatric Association. The APA recognizes in its new Autism Spectrum Disorder diagnostic criteria (B.4.) 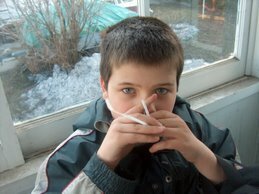 that some, but not all, children with autism will have sensory challenges. So too the Autism Society New Brunswick, during the MacKay Inclusion review informed Professor Wayne MacKay of its position that some autistic students can learn in the mainstream classroom and some can not. It is necessary to look at the evidence in each case and provide the appropriate learning environment based on that evidence. In Conor's case no one knows the evidence better than his Mom and Dad. 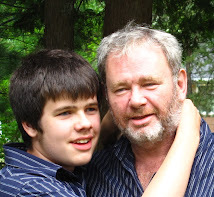 If Education and Early Development Minister Jody Carr or Extreme Inclusion Icon Gordon Porter think differently then I ask them whether they think they could safely provide Conor with a shave and haircut? I don't think they would try ... and in all fairness ... I wouldn't let them. Lee: Is there any emerging consensus about the wide variations in the severity of autism? Lee: Could you talk more about the problematic distinctions between “low-functioning” versus “high-functioning” people with autism? What alternative is there to this classification structure? Steve: Obviously, the language of “high-functioning” versus “low-functioning” is very tempting to use, and most people—that is, parents and clinicians—use it. If you have a kid who can’t talk or use the toilet, rarely seems to connect with the people around her, appears to be profoundly intellectually disabled, and bangs her head against the wall, it seems appropriate to classify her as “low-functioning.” On the other hand, if you have a guy with an Asperger diagnosis who has a job writing code or fixing luxury cars and has a wife and kids of his own—it seems easy to call him “high-functioning.” But the autistic adults I know hardly ever use those two terms, because they know better. Even people who are classified as high-functioning—like John Elder Robison and Temple Grandin—really struggle with some aspects of life that most neurotypical people don’t have to struggle with. At the same time, some research into “low functioning” individuals in recent years indicates that they may have much more going on inside them than is usually visible from the outside. That’s one reason why the development of alternate forms of communication for people who have difficulty with spoken language—and we’re talking about iPads here, an “assistive technology” that many neurotypicals find indispensable these days—is so important. I’ve interviewed some autistic people who would be written off as “low-functioning” by most people, but once they get an iPad with text-to-speech apps in their hands, they become as eloquent as poets. Personally, I avoid using the terms “high-functioning” and “low-functioning” because I think they’re both misleading. The term “high-functioning” makes certain kinds of challenges invisible, while the term “low-functioning” makes certain kinds of intelligence and capability harder to see. Many “low-functioning” kids will eventually learn self-care skills and be able to communicate with some form of assistive technology. Once they can make their thoughts visible to others, you find out that they have very rich inner lives, and were always listening to what was being said around them. We need to find out what has worked in the lives of people like Robison, Grandin, and Stephen Shore—a guy who was considered low-functioning when he was young, and whose parents were told to put him in an institution. He’s now a professor at Adelphi University, and a delightful person. Once we find out what has worked for them, we can apply those lessons to the next generation of autistic people. That’s why Jenny McCarthy’s claim that “there were no autistic adults, it’s all now” is not just wacky and incorrect, it’s dangerous, because it deprives the huge population of autistic kids of visible mentors and role models whom they can learn from." Silberman's claim is that because some persons once considered low functioning went on to communicate and excel in life it is therefore wrong to distinguish between low and high functioning autism disorders. This claim is absurd and lacking in common sense. As he has stated some persons with LFA have difficulty with the most basic functions in daily life like toilet training. Some engage in serious self injurious behavior. He could also have mentioned the autistic adults who live their lives not with assistive technology but in assisted living in varying levels of residential care including full time 24-7 institutional care. The realities of life for these people by any common sense measure are fairly described as low functioning compared to the very high functioning Friends of Silberman club ... the Robisons, Grandins and Shores. Steve Silberman either lacks common sense and can not distinguish between these different functioning levels or he has simply chosen to turn and walk away from that truth in the interest of promoting his career and books as a leading author of the irrational ideology known as Neurodiversity. His public denials of the challenges, the more severe challenges facing low functioning autistic persons puts him in the group of people who are obscuring public discussions about the natue of autism disorders and the needs of those who suffer from low functioning autism. I have visited Low Functioning severely autistic adults living in psychiatric hospitals. I have talked by phone with Michelle Dawson and I have met John Robison at the recent IMFAR conference in Toronto. 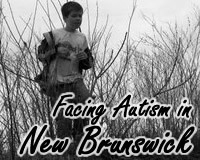 I have met very capable persons with High Functioning Autism and Aspergers here in New Brunswick. These people are much higher functioning in their abilities to function in the real world than those living in residential and institutional care and Steve Silberman should know that. Emily Singer has published an article at SFARI, Proposed guidelines won't miss autism cases, study says, which appears to suggest that persons who would meet DSM-IV PDD-NOS and Asperger's will "only" be reduced by approximately 10% under DSM5 criteria. 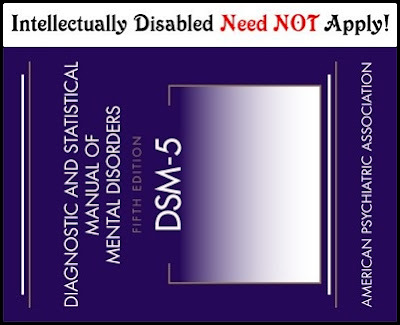 The focus, as always, is on the HF end of the spectrum with no mention made of the intellectually disabled who will be excluded under the wording of mandatory criterion A of the DSM5. "We didn't see any evidence that there would be dramatically lower diagnosis of people with Asperger's or PDD-NOS," says Lord." "Lord and her colleagues found that the DSM-5 is as sensitive as the DSM-IV, meaning it accurately identifies those who have autism. The DSM-5 criteria also have better specificity than those in the DSM-IV, meaning they can better distinguish between people who have autism and those who have other developmental disorders, the study found." As set out above the real targets for exclusion from the autism spectrum under the DSM5 autism do-over are the intellectually disabled who are targeted by the addition of the "not accounted for by general developmental delay" disqualifying criterion in mandatory criterion A. Studies by J Matson have confirmed that substantial numbers, as many as 35.5%, of intellectually disabled who would meet DSM-IV autism criteria, will be excluded under the DSM5 criteria. In the DSM5 the evolution of autism into Aspergers continues with the targeting for exclusion of the intellectually disabled. But no one cares. Not Dr. Lord, not Dr. Geraldine Dawson of Autism Speaks whose organisation has expressed concern over the possible impact of the DSM autism do-over on those at the HF end of the spectrum but not on the intellectually disabled. Not the New York Times and other major media who have worried over the possible HF exclusions. The exclusion of some HF is possible, the exclusion of many LF intellectually disabled is certain but apparently no one cares about the intellectually disabled and the impact this exclusion will have on them.